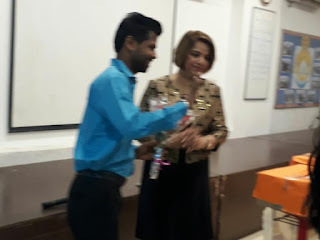 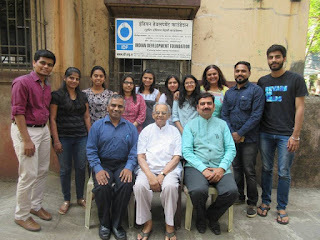 Students from PTVA's Institute of Management and NMIMS Law College were trained as Mentors who in turn will create student leaders in different schools in Mumbai. 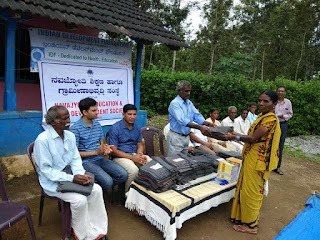 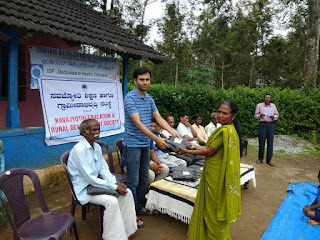 IDF Social Ambassador Karan Kohli is all set to promote IDF's Mission W2k (waste to knowledge) which supports children in IDF Bal Gurukuls. 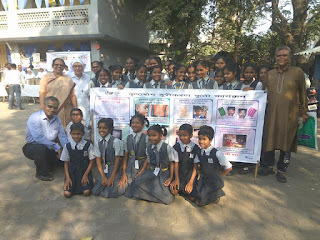 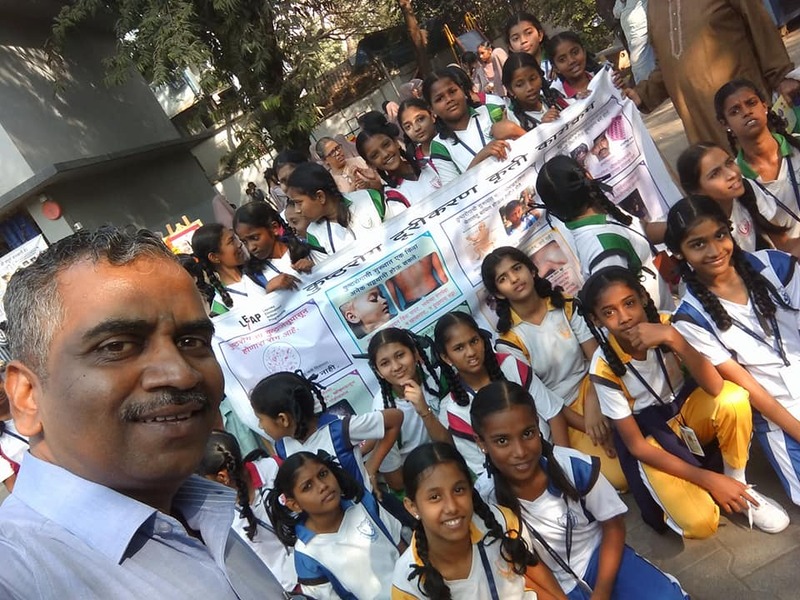 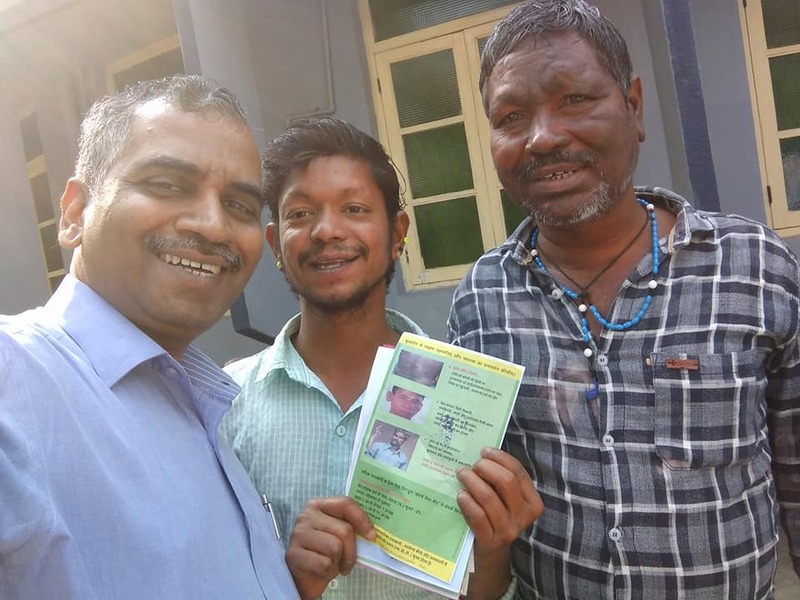 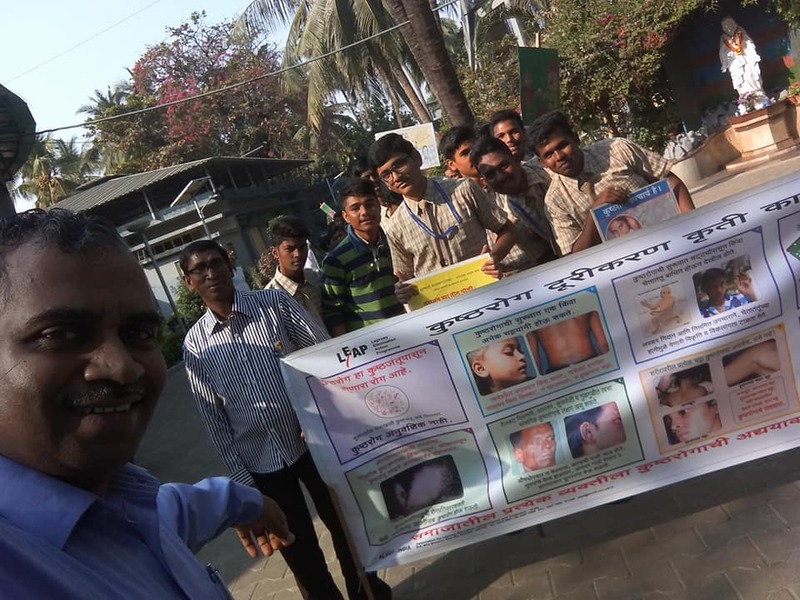 Indian Development Foundation joined hands with Vimala Dermatological Centre to organize a Leprosy Awareness Rally on the World Leprosy Day 2018 (30-01-2018) at Versova Yari Road, Andheri West, Mumbai. 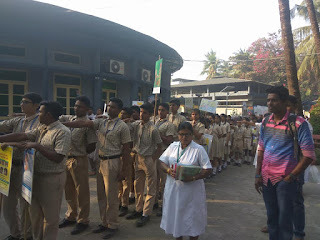 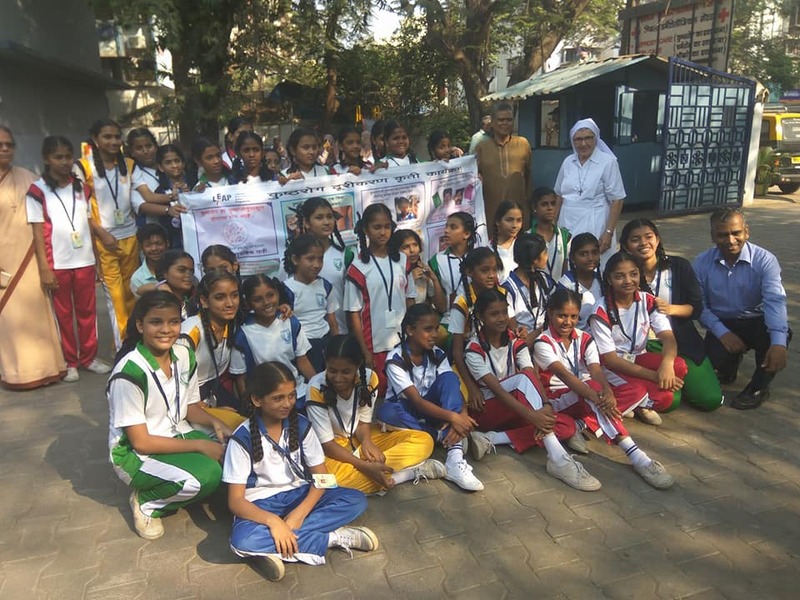 Students from Vimala Centre, Vesave Vidya Mandir, Anjuman Islam School, St. Antony's English School, PTVA Institute of Management Studies and NSS volunteers from Vivek College of Commerce participated in the rally along with the hospital staff, inmates of the Centre and IDF team. 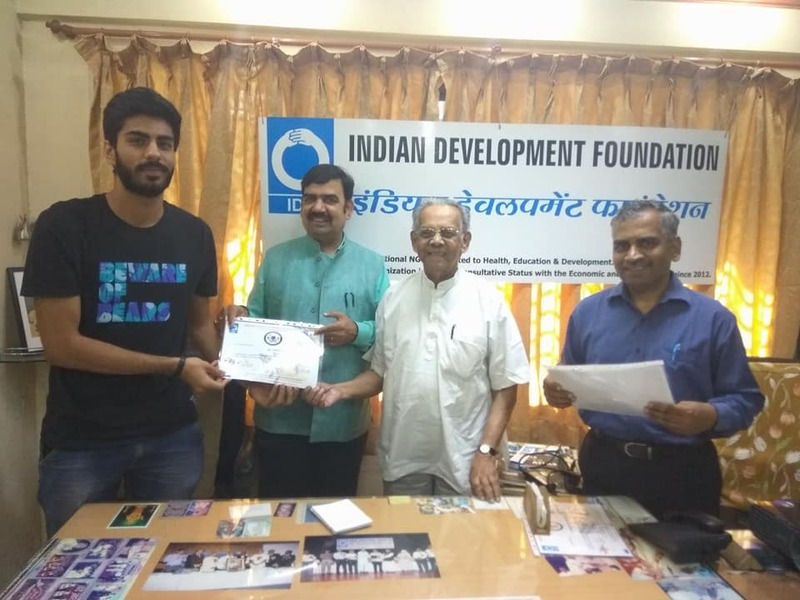 Nine students from PTVA's Institute of Management will be interning with Indian Development Foundation on various social responsibility projects. 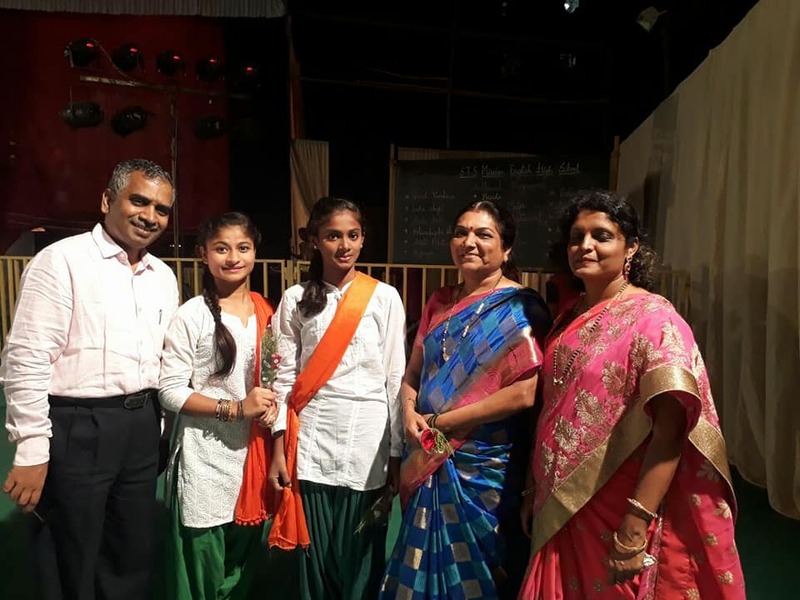 Asha and Sakshi played extremely well as they conveyed the message of girl child education and protection. 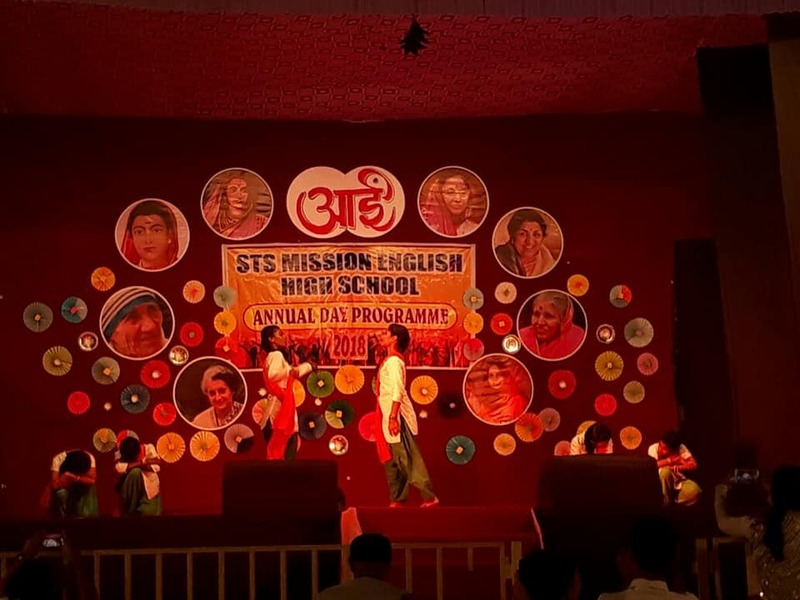 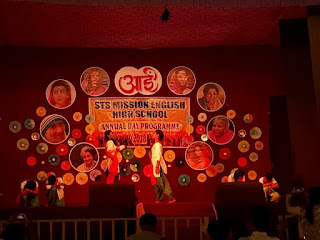 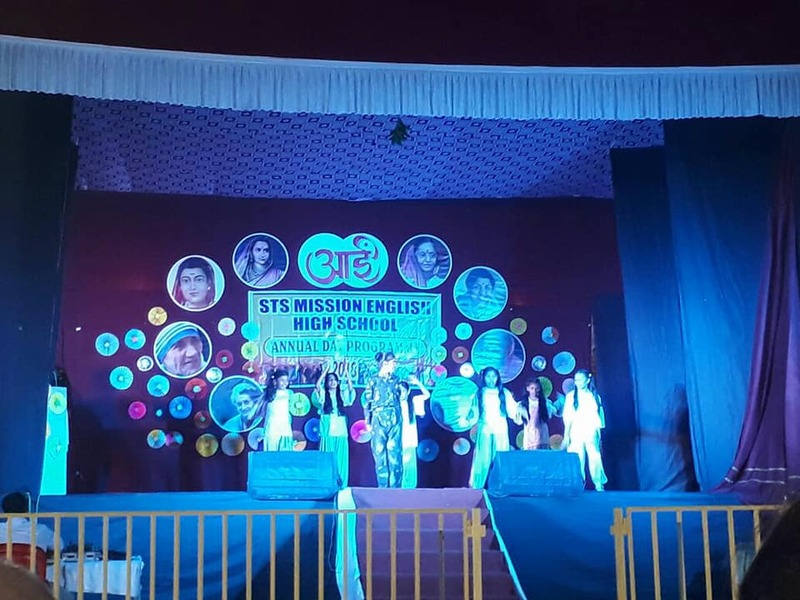 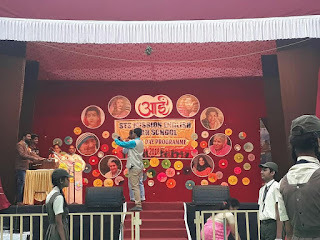 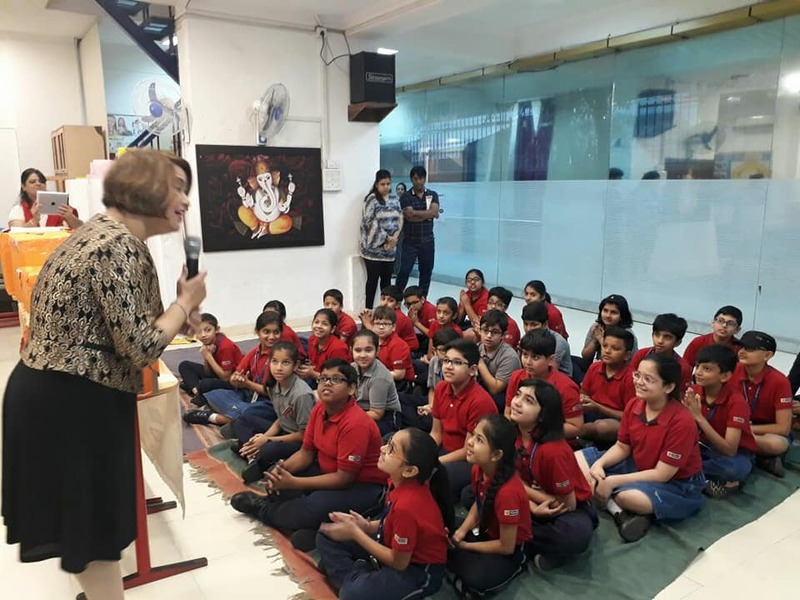 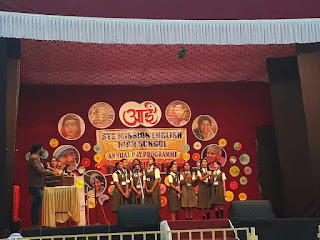 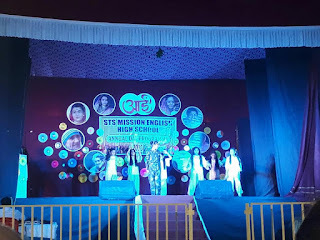 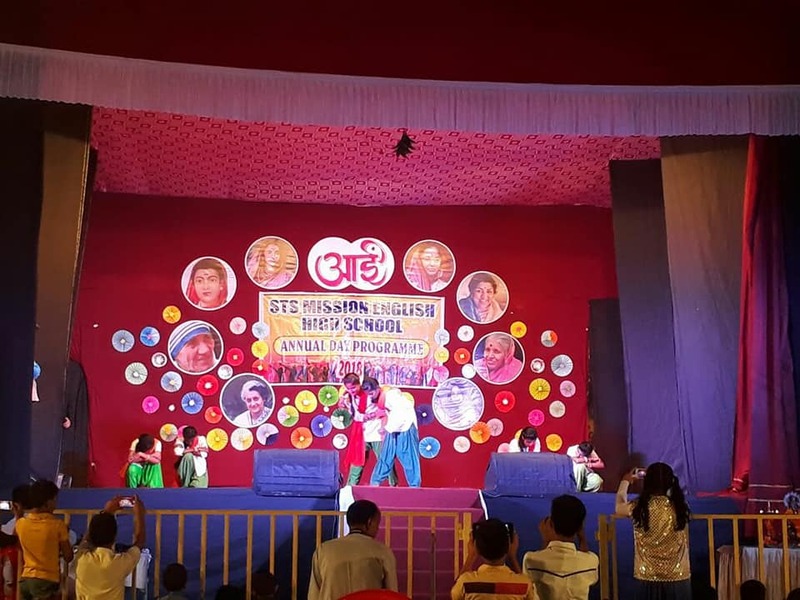 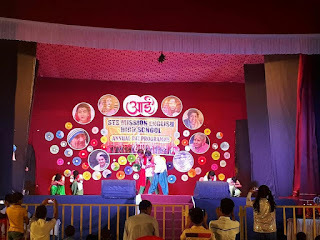 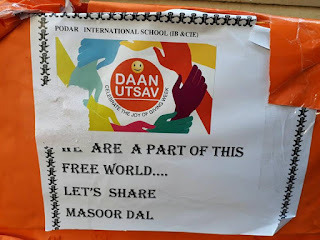 Annual Day celebrations of STS Mission English High School, Malad West Mumbai IDF runs a Bal Gurukul and an SLP project in the school. 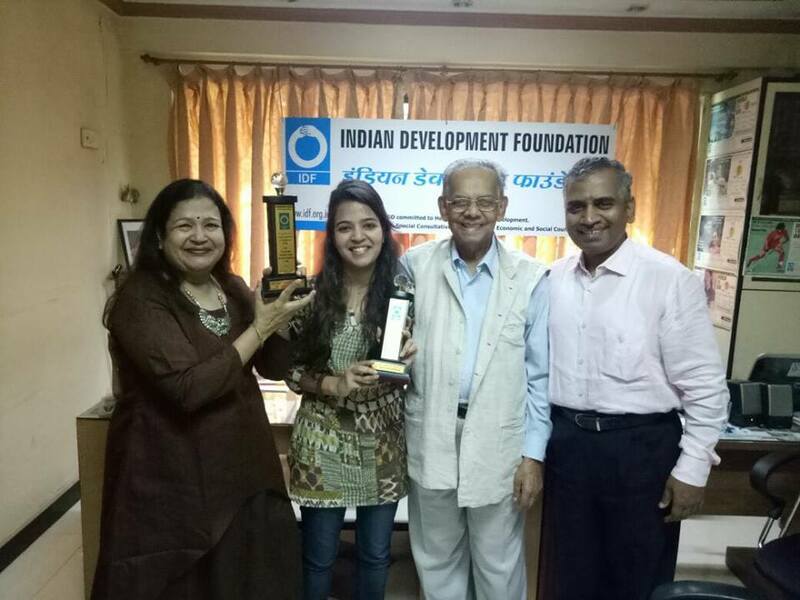 The mascot girl, Tejasvi, is all set to promote education in India. 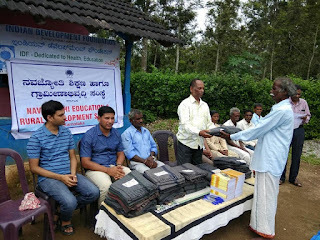 Join hands with IDF to reach education to every child in India. 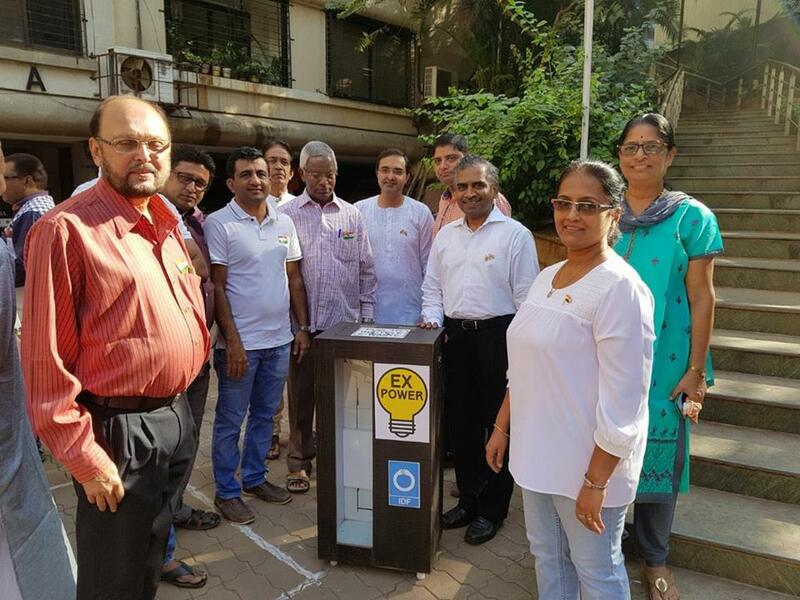 Installation of EWaste Bin for safe disposal of electronic waste was done at Greenwoods society at Andheri East Mumbai on the Republic Day. 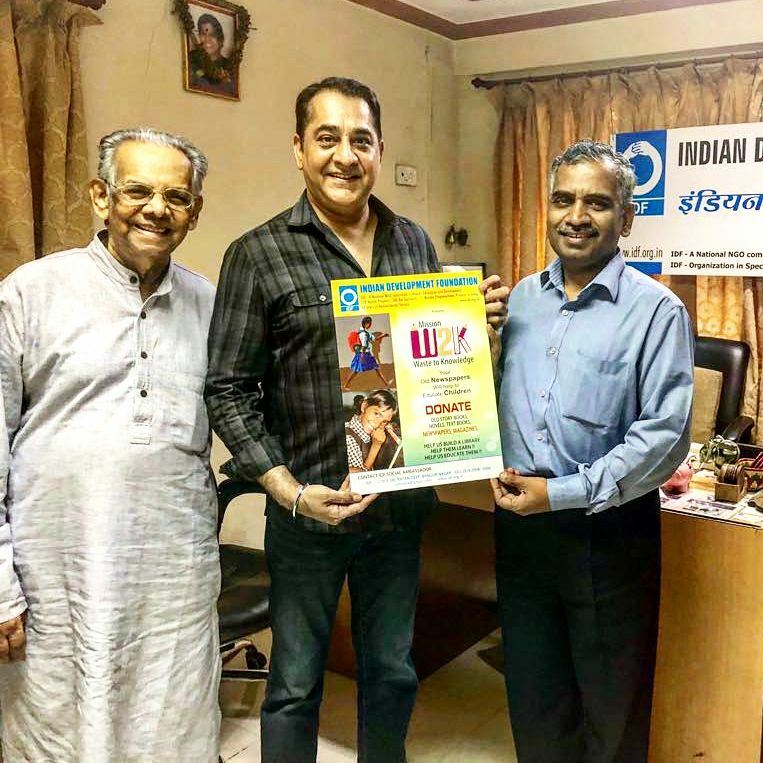 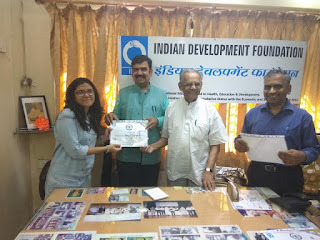 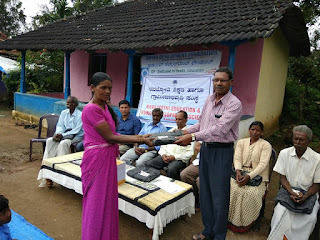 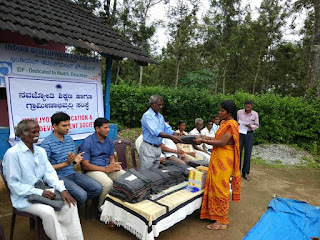 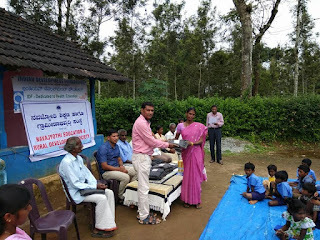 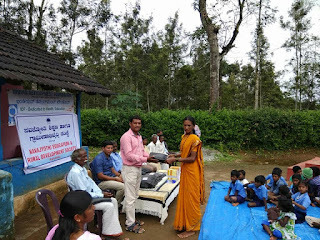 Gratitude and grateful thanks to Dr. Suresh Nair, Principal, Vivek Vidyalaya and Junior College and his Team for extending support for leprosy,/ TB and IDF Bal Gurukul projects. 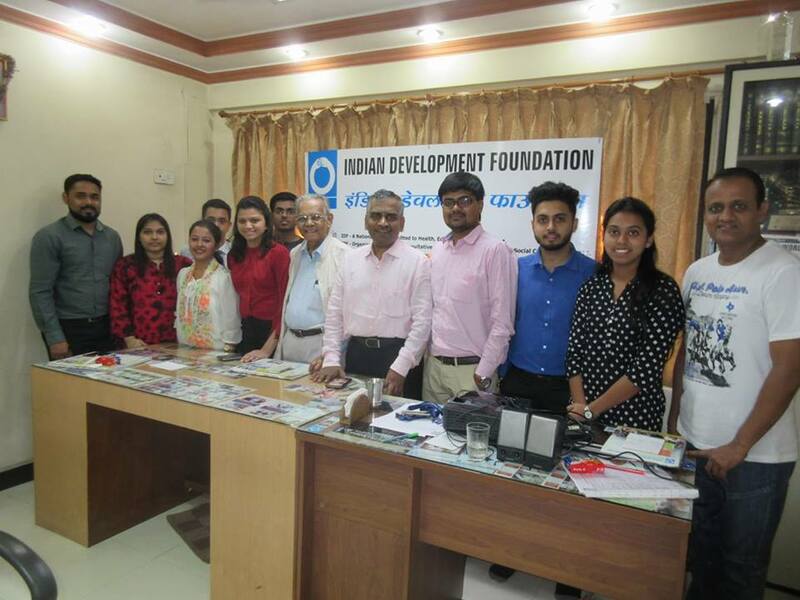 IDF Salutations to the entire Schoolteam for their uninterrupted support. 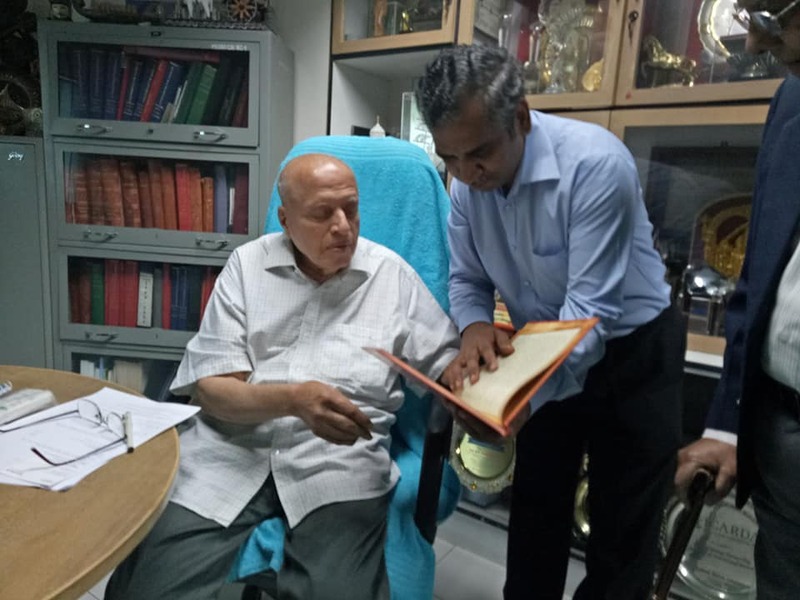 His heart beats for the poor and the needy, the surgeon who did the first coronary bypass surgery in India, touching several thousands of hearts in over four decades. 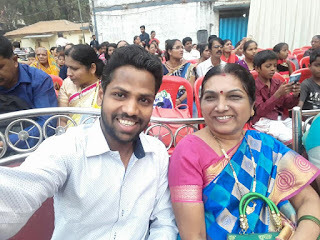 Dr. K.M. 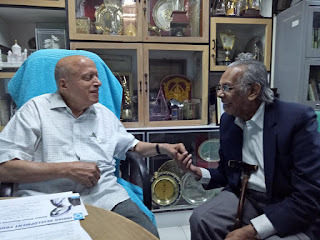 Cherian’s name needs special mention in the history of cardiology in India. Dr. K M Cherian is the only Indian whose name is engraved on the stones of Kos Island, Greece, the birth place of Hippocrates - the Father of Medicine. 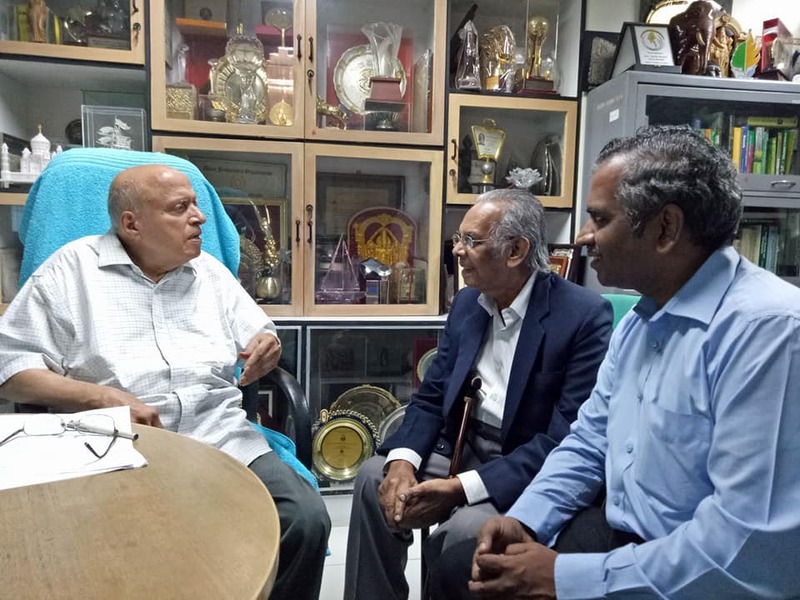 “A lot is being done to improve the condition of patients and our nation is known for the best and timely care”, said Dr. Cherian as he emphasised on the cardiac care in India. 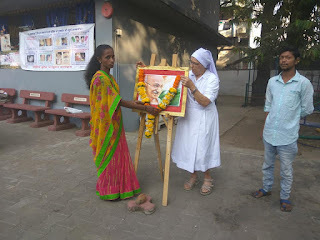 “It is of utmost importance to see that the patients get timely and best of care, so that they can live a fruitful life spreading happiness”, observed Dr. Cherian, while receiving the Mother Teresa Award 2017, from Dr. A.P. Jayaraman at a function organized by Indian Development Foundation, at Frontier Lifeline Hospital, Chennai on 20th January 2018. 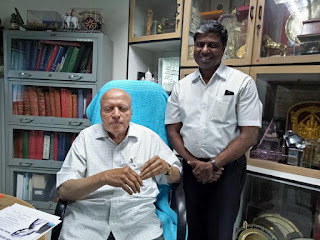 The septuagenarian, founder of Frontier Lifeline Hospital, Dr. K.M. Cherian expressed immense pleasure to receive an honour in the name of Mother Teresa, who set a sterling example for serving the sick and the needy. 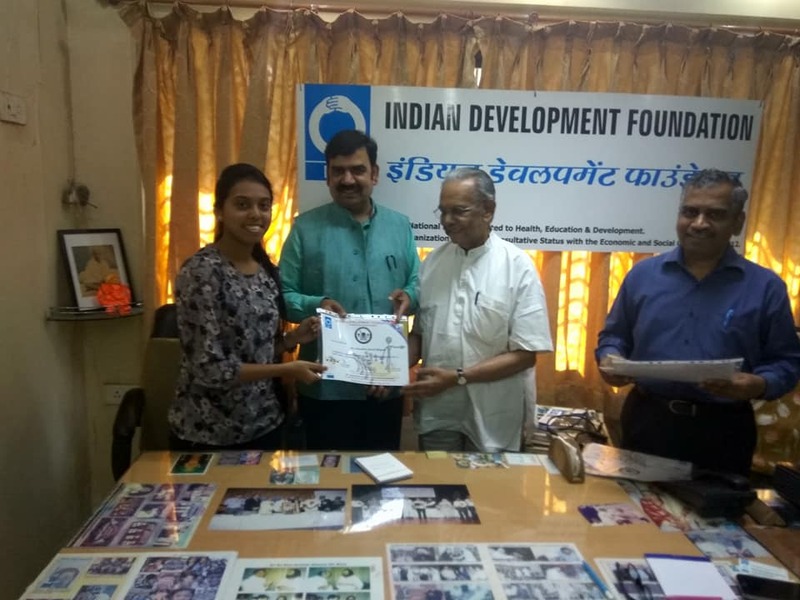 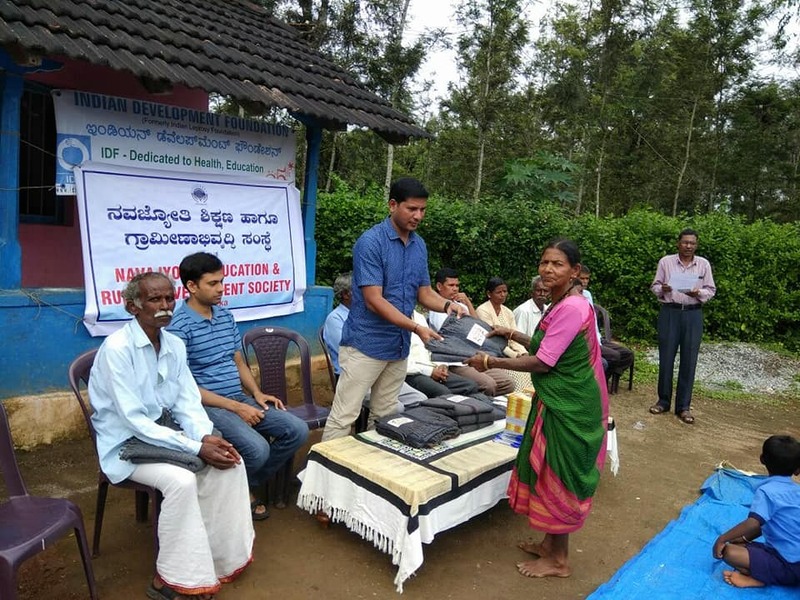 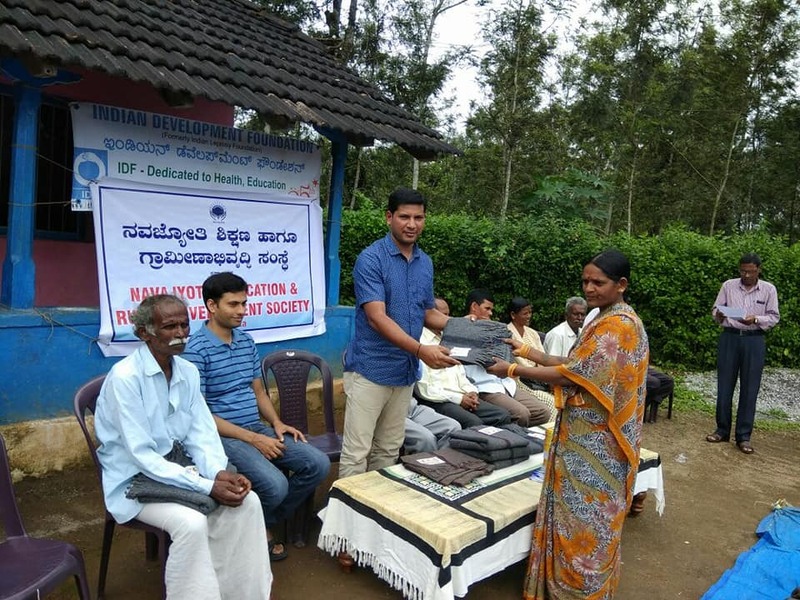 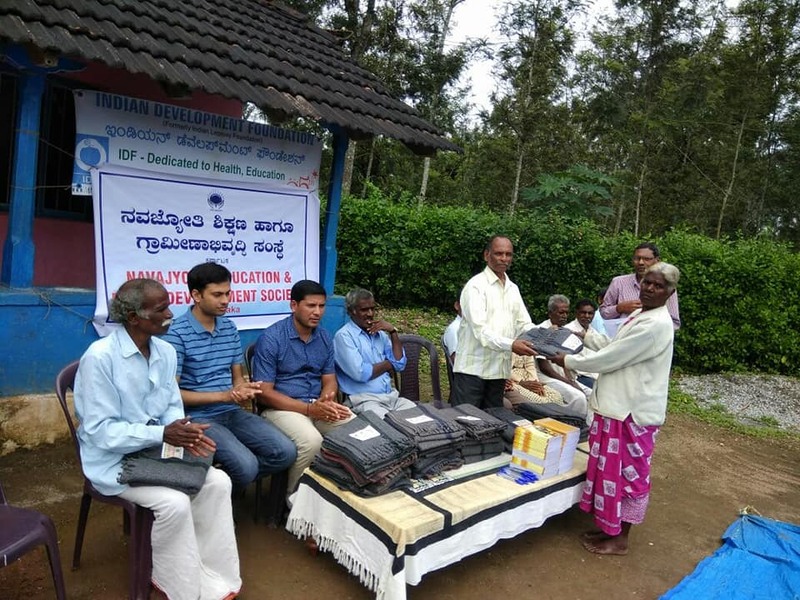 The efforts of Indian Development Foundation in enlisting people’s participation and support for national health and development programmes are noteworthy’ he added. 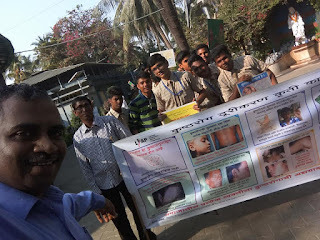 Dr. K.M. Cherian was conferred with the prestigious Mother Teresa Memorial Award 2017 for his signal contributions to the advance of knowledge in cardiology and the welfare of humanity. 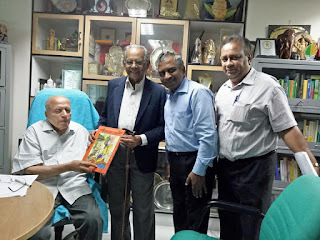 Chief Guest Dr. A. P. Jayaraman, Senior Nuclear Scientist from BARC paid glowing tributes to Dr.K.M. 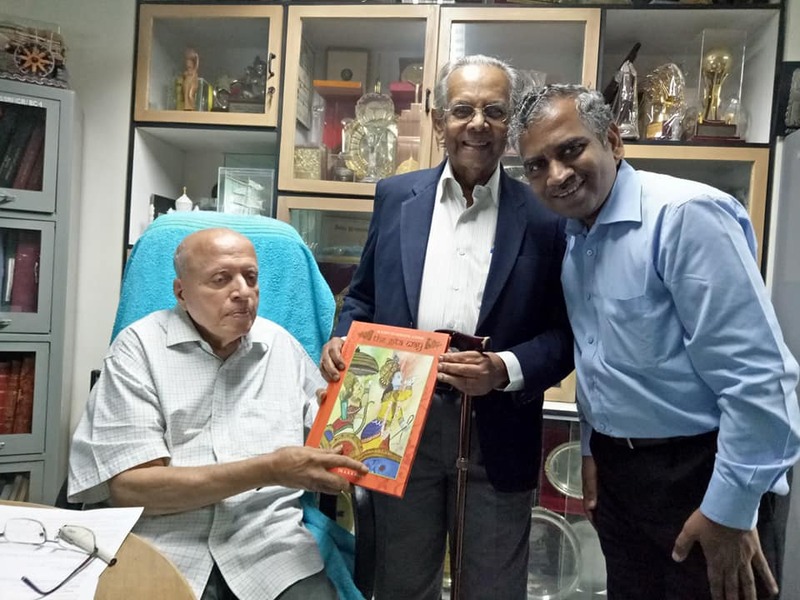 Cherian for his historic contributions to cardiac care in India. 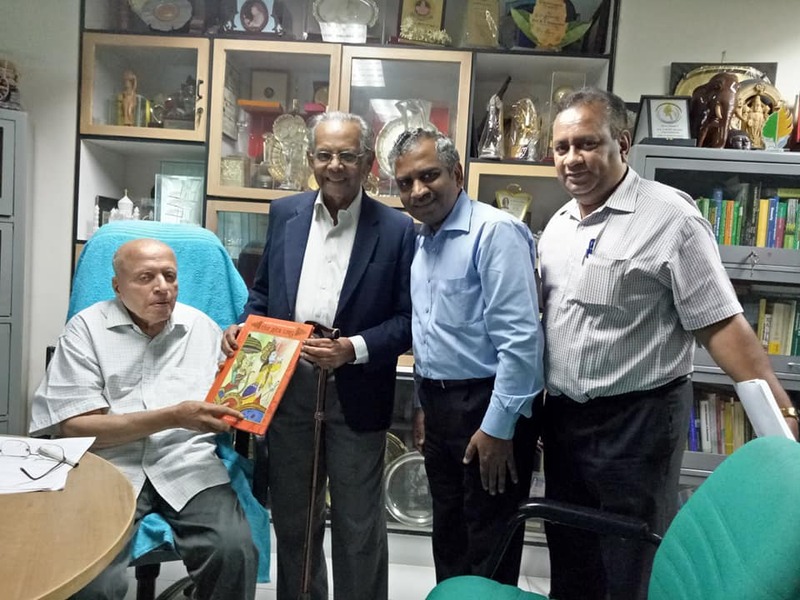 Dr. Cherian’s great initiatives will strengthen India’s efforts towards cardiac care and welfare of the patients. 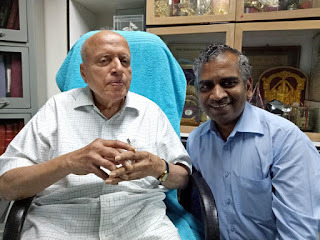 Dr. Cherian’s glorious professional career has the rare spark of divinity igniting his tender loving care of humanity and human hearts. The Hand of God has actuated and activated the divine magic scalpel in his hand. 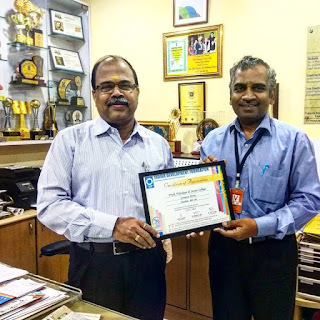 His journey began from a Railway Hospital, when technology was not in place and all his accomplishments are the sure mark and seal of his uncanny technical skill, Dr. AP Jayaraman said. 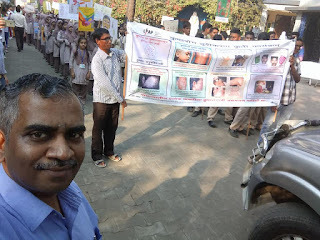 Dr. A.R.K. 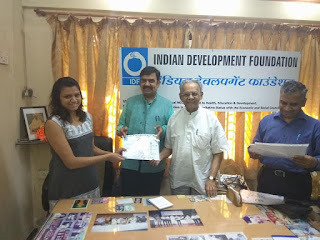 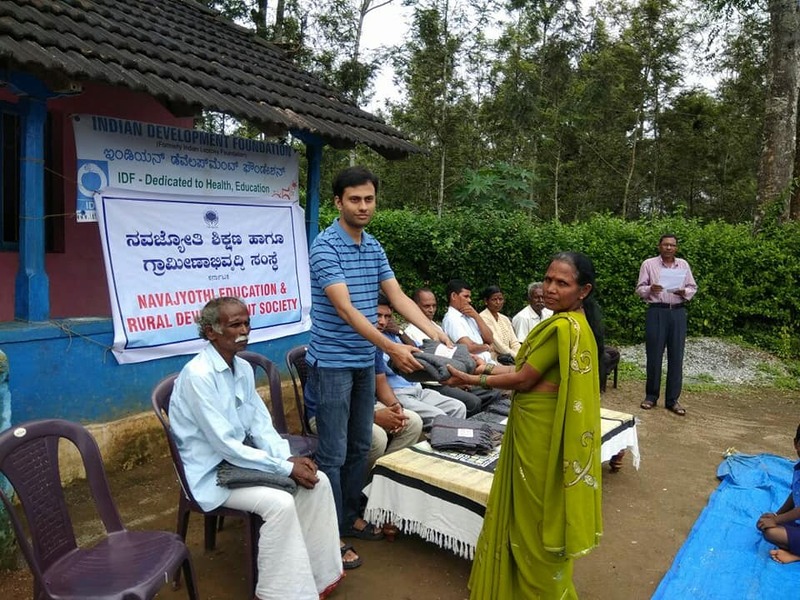 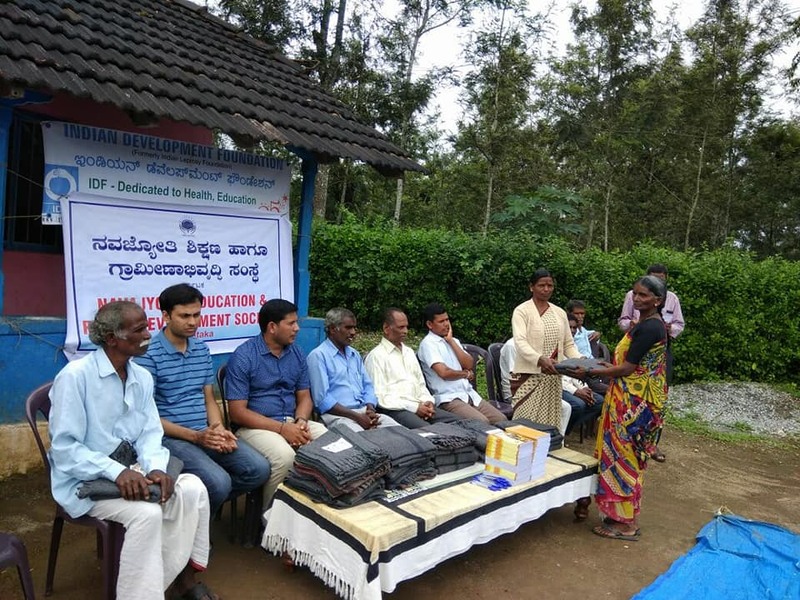 Pillai, founder President of Indian Development Foundation said that IDF has been working for the improvement of health, education of the deprived children and empowerment of women, belonging to lower economic strata. 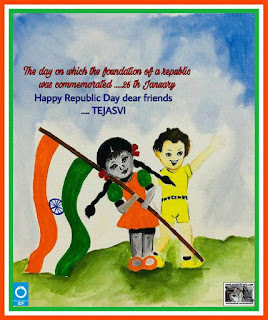 “In the course of our varied activities in the social field, it has also been our resolve to locate gems of human beings who have outlived the dimensions of normal life and served humanity all through their lives” he added. 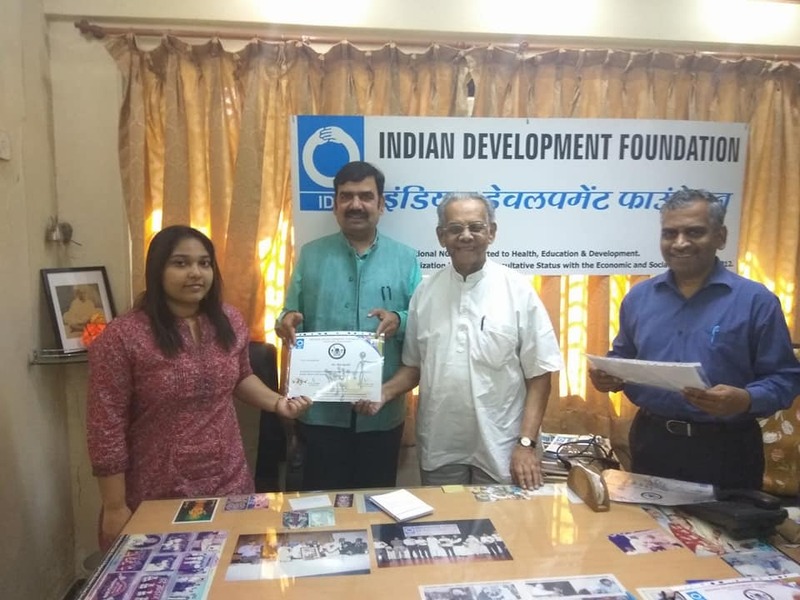 Dr. Pillai said IDF has been bestowing Mother Teresa Memorial Award on personalities who have been the change-makers of India. Earlier recipients of the Mother Teresa Award are : Dr. M.S.Swaminathan (2010), Shri N. R. Narayana Murthy (2011), Shri D. R. Mehta (Jaipur foot) (2012), Dr. V. Shanta (2013), Dr. Bindeshwar Pathak (2014), Dr. K. Radhakrishnan (ISRO) (2015) and Dr. Sarada Menon (SCARF) (2016). 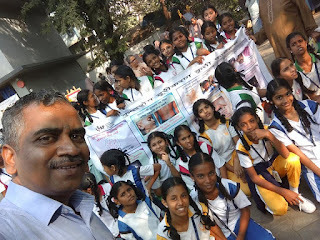 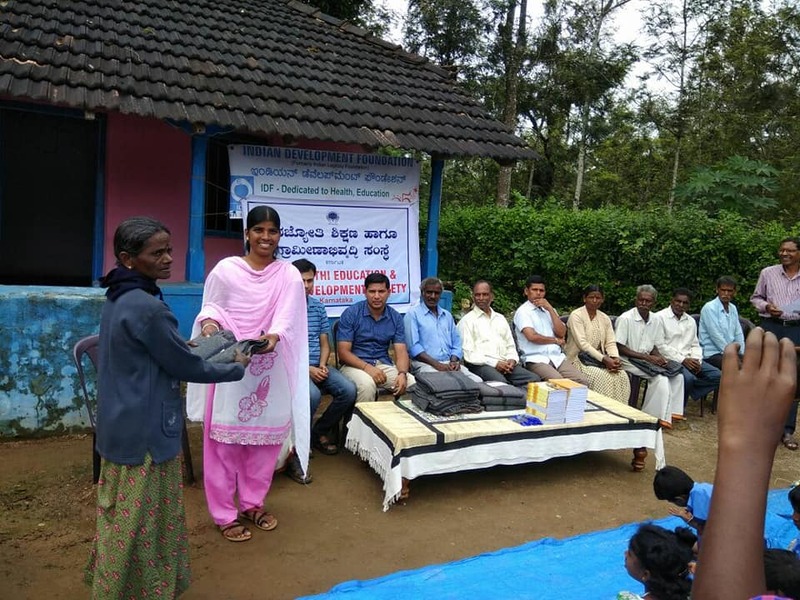 Ms. Sandhya Cherian, (Director, Frontier Lifeline Hospital), Dr. Joy Thomas (Chief Cardiologist, Frontier Lifeline Hospital) and Ms. R. Rajammal, IDF Social Ambassador spoke in appreciation of Dr. K.M. Cherian and did the felicitation. 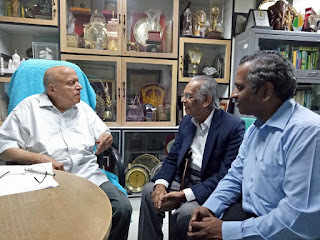 Earlier Dr. S. Franklin, CE, IDF welcomed the dignitaries while Dr. Narayan Iyer, CEO, IDF conducted the flow of the event. 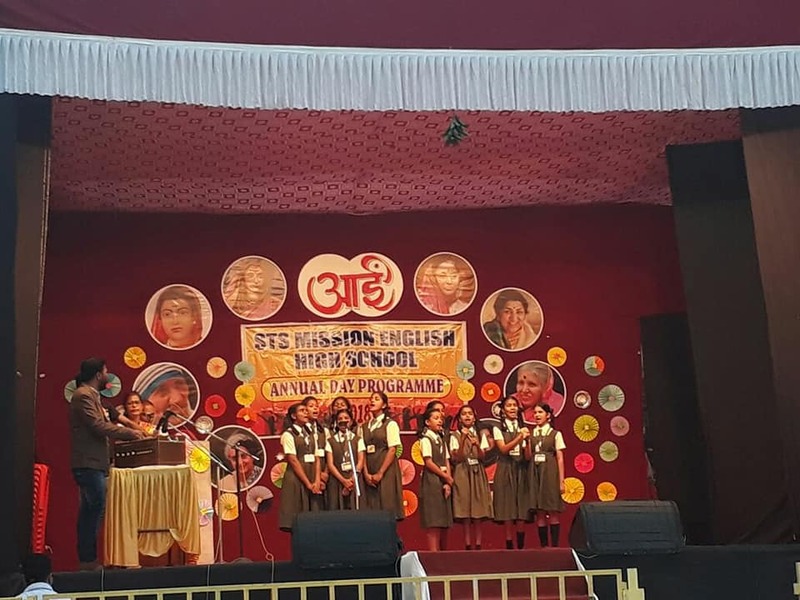 Students from SBOA School & Junior College and Neela Saraswathi Bal Gurukul rendered the invocation song and gave a scintillating musical tribute to Dr. Cherian. Gratitude to Dr. Vandana Lulla and Team Podar School for donating rice, wheat, pulses for St. Catherine's Orphanage at Bandra. 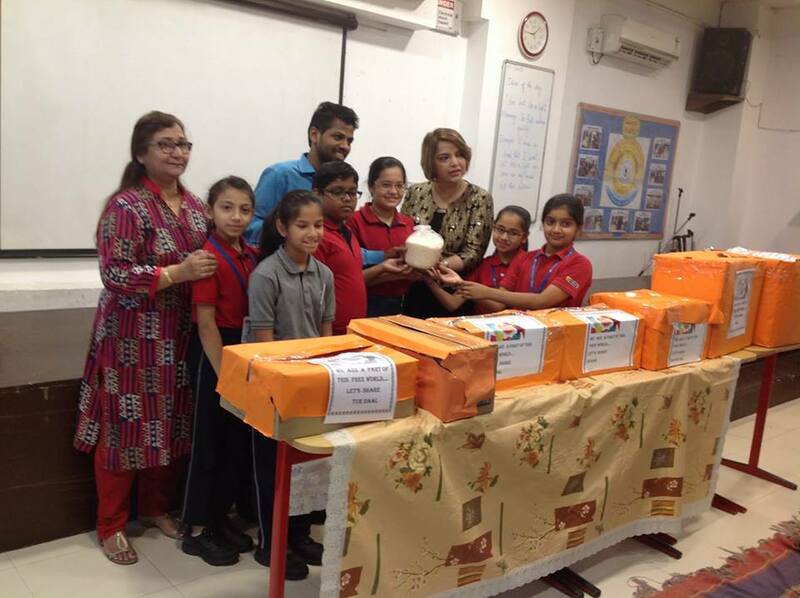 We appreciate the social commitment of every student and their parents. 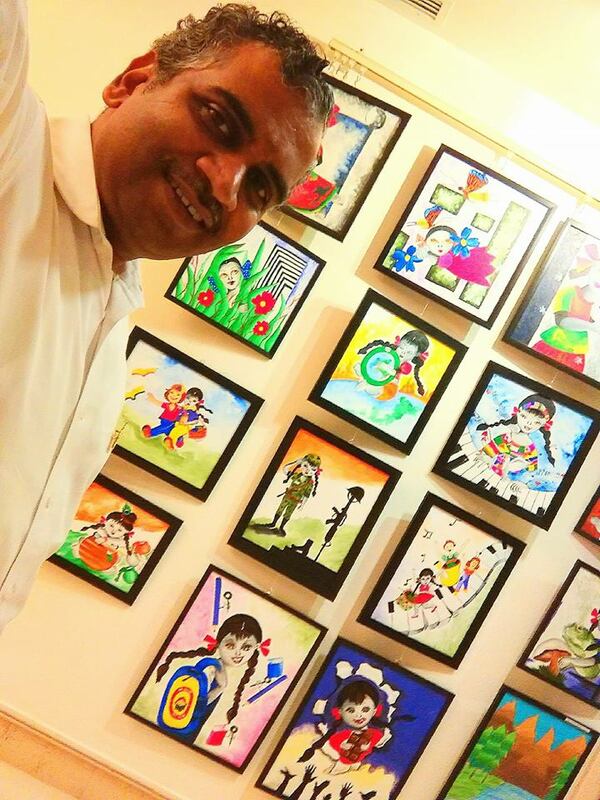 Salutations to the Podar Schoolteam. 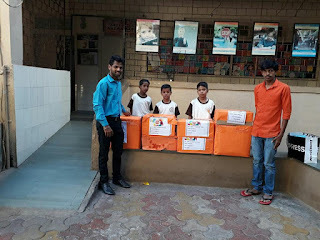 Special thanks to Satendra Prasad Gupta and Afsana Shaikh from Indian Development Foundation for co-ordinating the distribution of materials from Podar School to St. Catherine's Orphanage. Well done Podar... Jai ho !!! A good beginning of 2018..